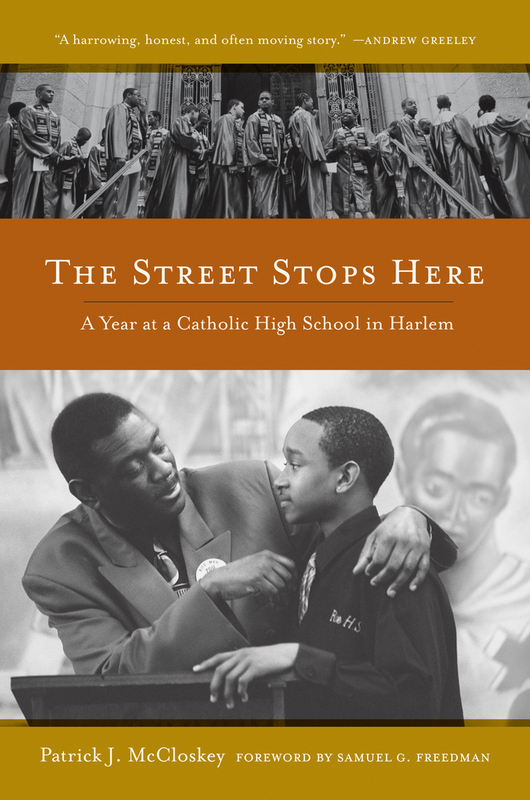 The Street Stops Here offers a deeply personal and compelling account of a Catholic high school in central Harlem, where mostly disadvantaged (and often non-Catholic) African American males graduate on time and get into college. Interweaving vivid portraits of day-to-day school life with clear and evenhanded analysis, Patrick J. McCloskey takes us through an eventful year at Rice High School, as staff, students, and families make heroic efforts to prevail against society's expectations. McCloskey's riveting narrative brings into sharp relief an urgent public policy question: whether (and how) to save these schools that provide the only viable option for thousands of poor and working-class students—and thus fulfill a crucial public mandate. Just as significantly, The Street Stops Here offers invaluable lessons for low-performing urban public schools. Patrick J. McCloskey writes for many prominent publications, including City Journal, New York Times, STATS.org, Teacher Magazine and the National Post.